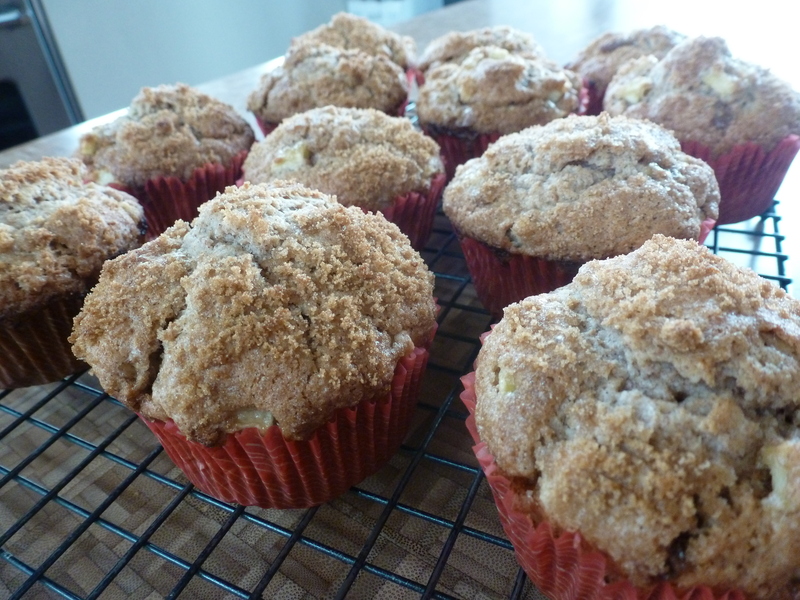 …and muffins for lunch! It’s a tasty “twofer” today! I tackled two new recipes this week (a Life List double-whammy), and both resulted in deliciousness. We have dear friends in town, and I wanted to have something homemade in the house for them. I also had some apples I wanted to use. 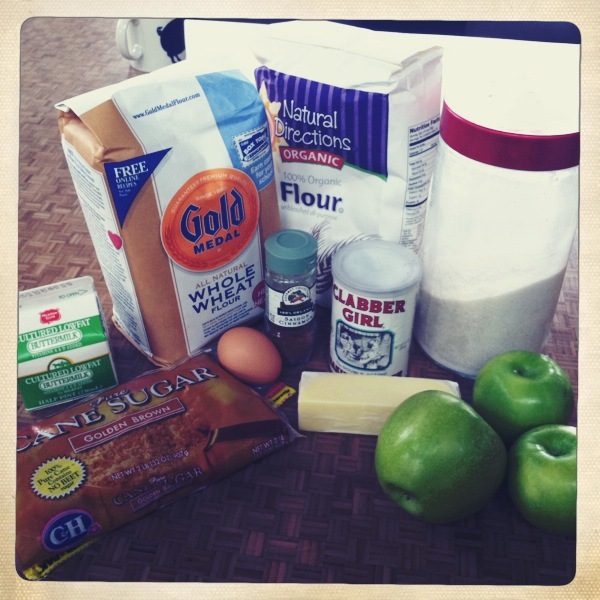 One of my go-to foodie blogs, Smitten Kitchen, had the perfect offering: whole wheat apple muffins. I usually tweak recipes in some way so that I feel like they are more “me”- but I stayed true to this one, aside from a heavy hand with the cinnamon (it’s my favorite). 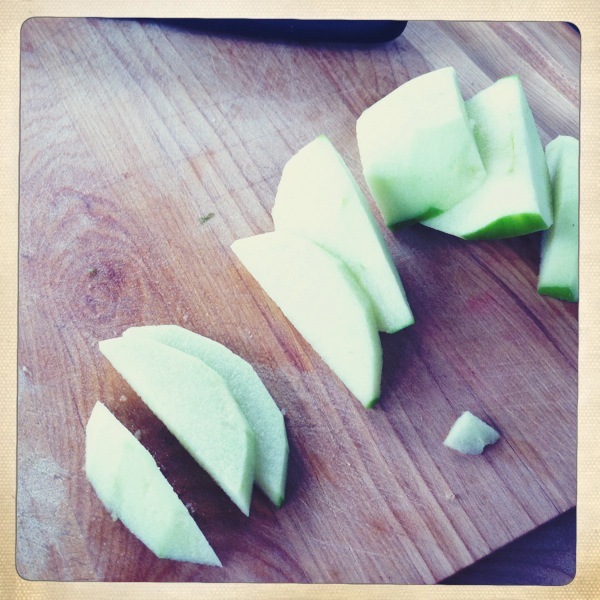 I also had Granny Smith apples on hand, so that’s what I used. It was my first time baking with whole wheat flour but I like the idea a lot. That and the cinnamon made for a light brown batter. Whole wheat anything means it’s totally healthy, right? There is something so incredibly comforting about anything cinnamon-y baking in the oven. The whole house smelled like a cozy Autumn day. The cooling muffins looked exactly like the photos. (I love when that happens!) I had one for lunch- why not?– and they proved to be very moist and very yummy. The buttermilk gives them a slight tang and I love the bits of apple. But the best part is the crunch of the brown-sugar topping. When my friend tasted a muffin yesterday, she said, “These are really good. Like you could sell these good.” Mission accomplished. Part deux of today’s tasty recipe twofer took me a little out of my comfort zone. 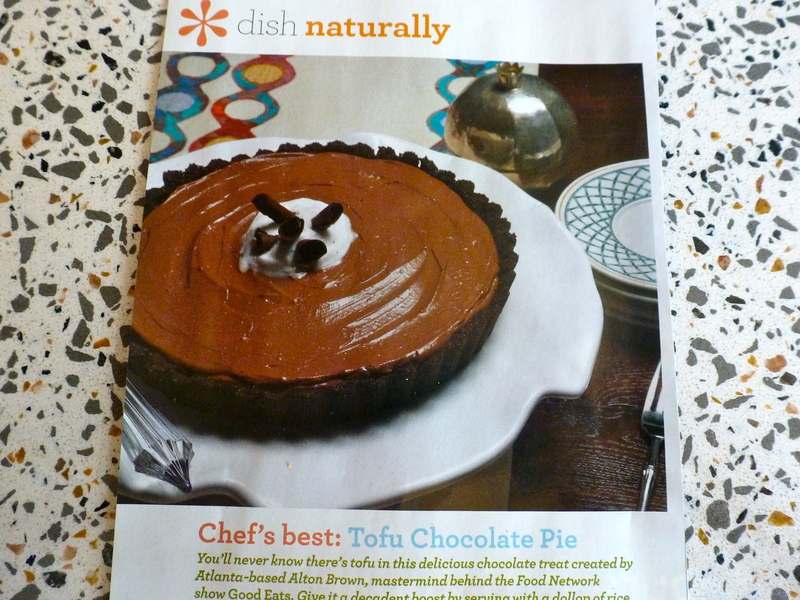 I spotted it in my Natural Health magazine: Tofu Chocolate Pie. I know what you’re thinking. Because it’s the same thing I was thinking. Tofu? In a pie? Blech! But Life List item #6 is to learn to make tofu in new ways, and I needed another dessert to serve at the party later. 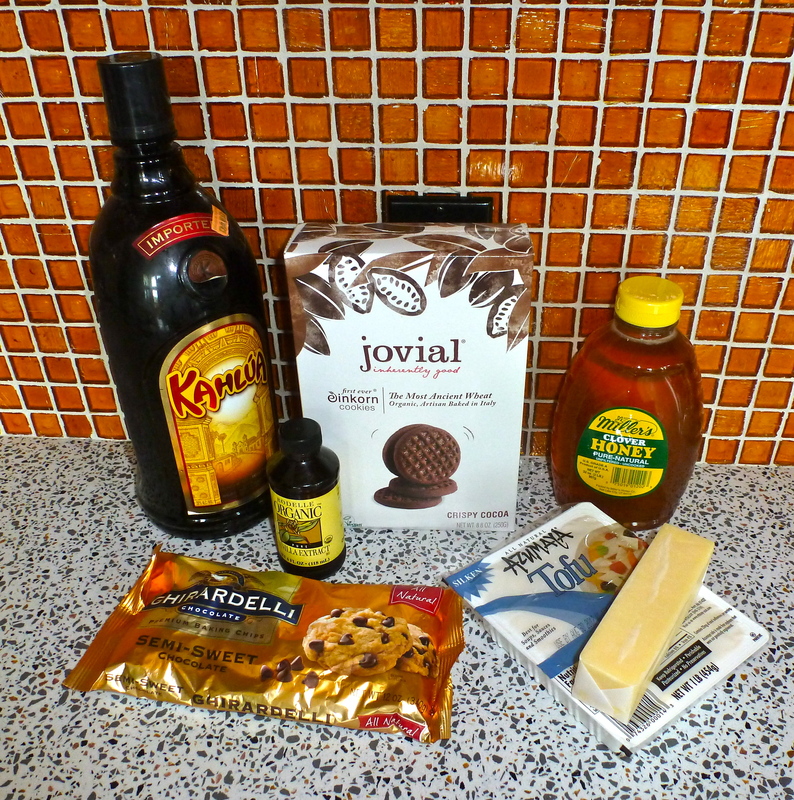 The recipe called for very few ingredients- two of them were chocolate chips and Kahlua (yum and yum). And the pie photo looked scrumptious. Hey, you never know… I might like it! I’m convinced that the key to any over-the-top pie is a homemade crust. It makes a huge difference when I make my famous key lime pie, so it wasn’t even a question here. The recipe called for a simple crust made with chocolate cookies, sugar, and butter. I may or may not have added a few shakes of cinnamon. A zip-zip in the food processor crushed the cookies for me, and once the crust was in the pie pan, it baked for a bit to get crunchy. You guys, that was the hardest part of this recipe. It’s so easy! For the filling, I melted the chocolate chips with vanilla and the Kahlua. 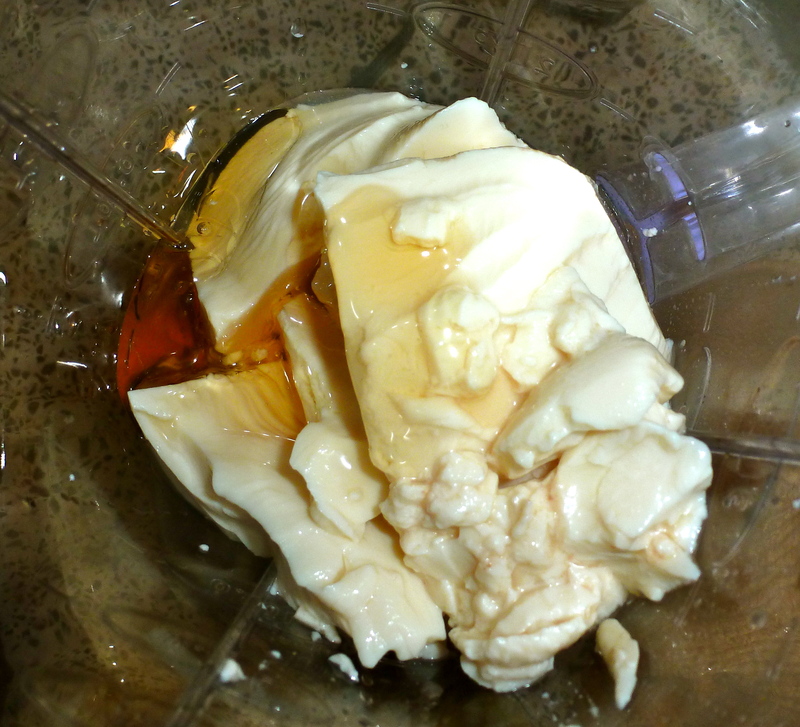 Then it was into the blender, along with the tofu and some honey. This was my first experience with silken tofu. 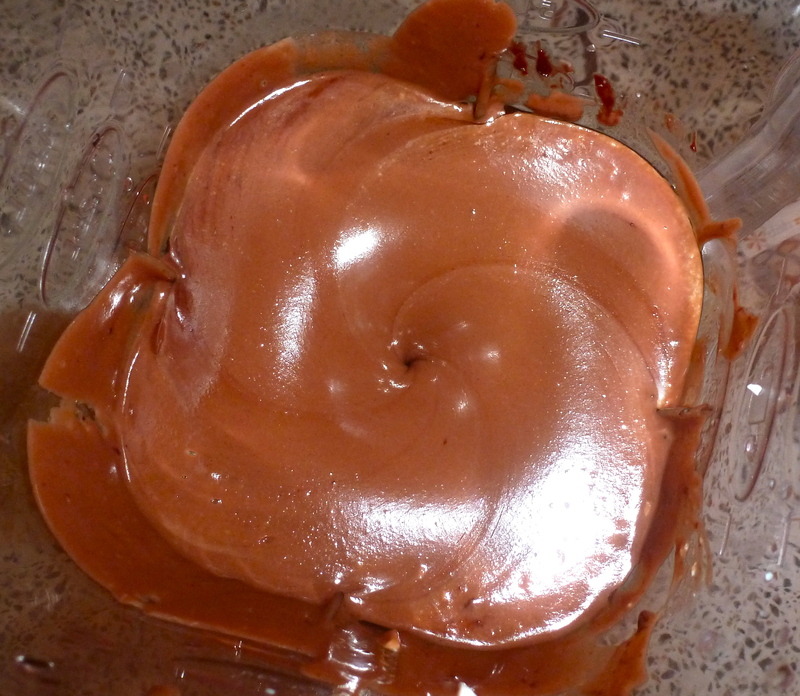 The texture was super creamy, kind of like yogurt, and I needed to spoon it into the blender. 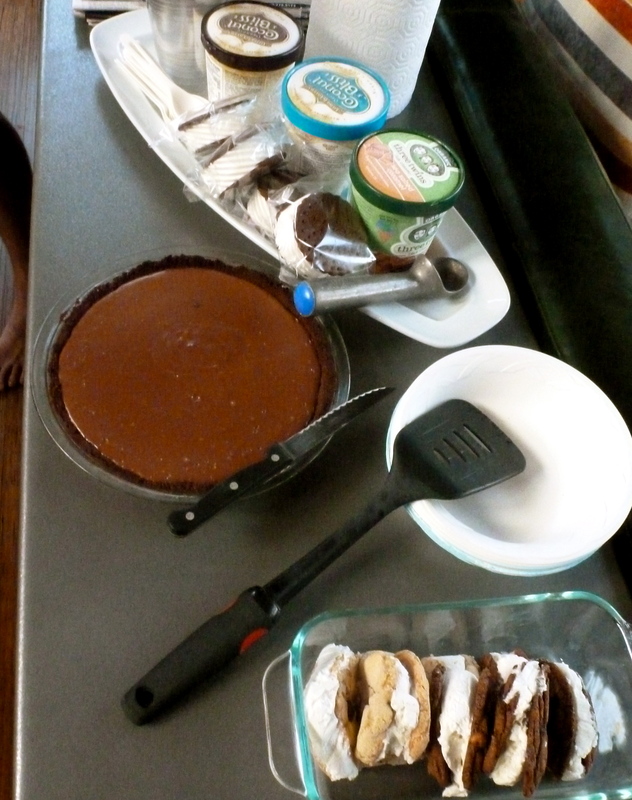 Once the filling was combined, a dip with my finger revealed a totally delish, rich chocolate pudding-y flavor. From here, I simply poured it into the crust and let it hang out in the fridge until I served it at the party. Seriously easy. If you were in a rush, a store-bought crust and 15 minutes would be completely acceptable! All you’d need is time for it to set in the fridge. Our friends are in town for the Outdoor Retailer Show, a twice-yearly trade show for those in the outdoor industry. It’s a huge event, bringing 20,000 attendees for each show (winter and summer). 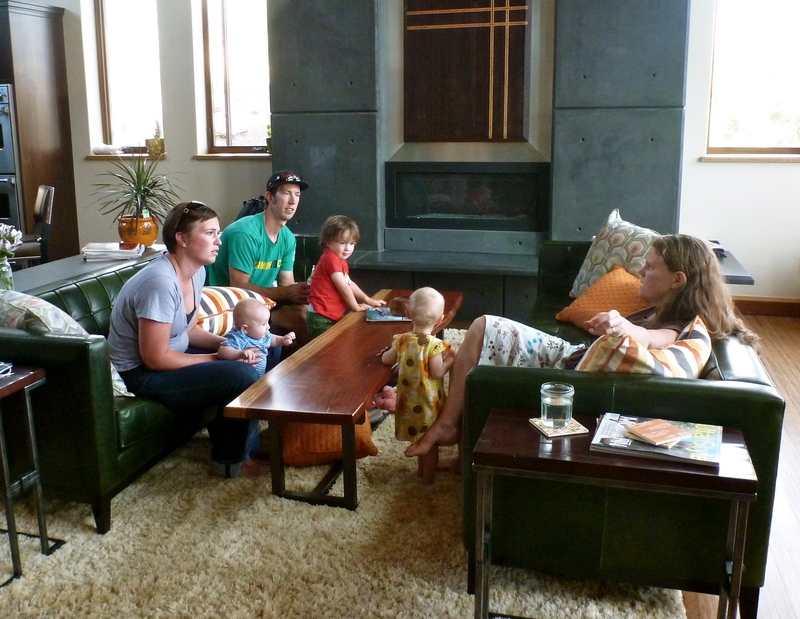 You might remember our trip to California and the super fun party on their organic farm. They sell incredible herb-based products through their company, Elemental Herbs, and have a booth at the OR Show every year. 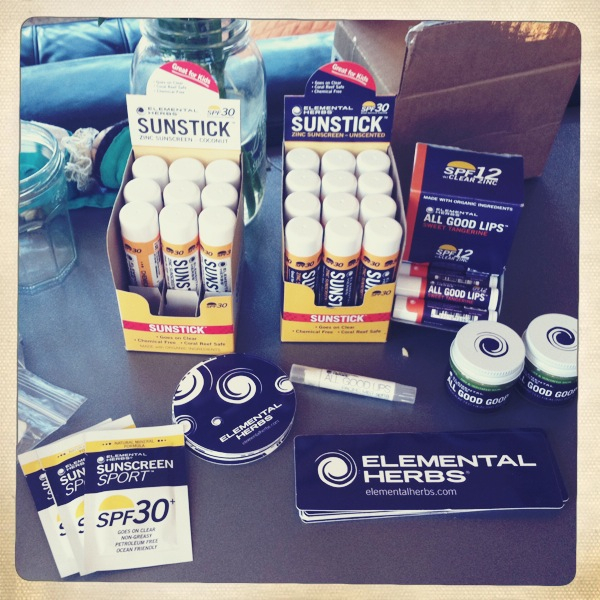 We’ve used their products for years- lip balm, sunscreen, a sore-muscle spray. They just released a tinted lip balm in various colors WITH SPF- love! But my favorite product has to be the All Good Goop. They make it right there on the farm, using calendula from the extensive garden. It’s incredible for cuts and burns, on dry skin, for foot massages, even for diaper rash… magic goop. 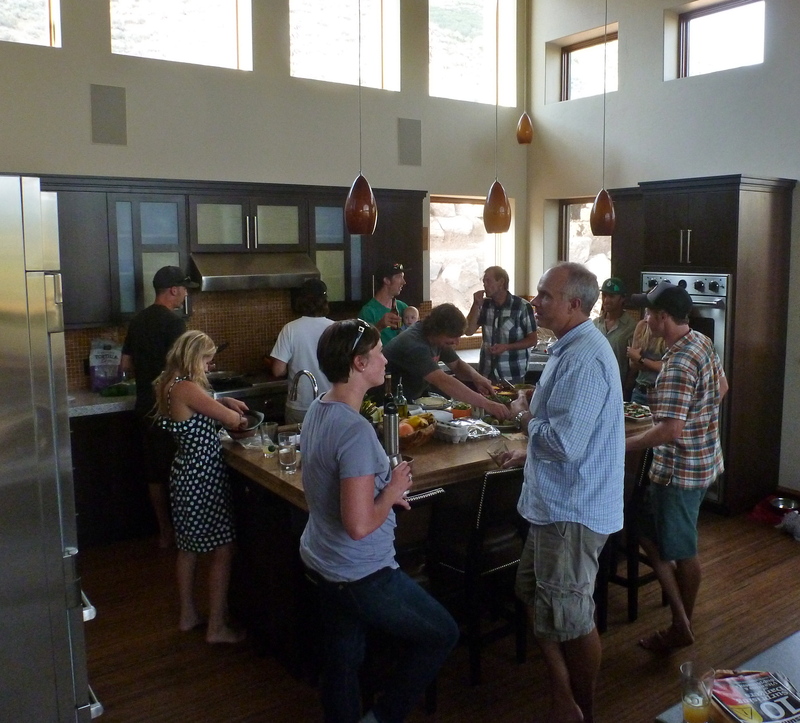 They invited some friends and colleagues over for a get-together last night, and it was a great group of people. We had summertime cocktails and a delicious, farm-fresh feast of tequila-lime fish tacos, caprese salad, grilled spicy peppers. 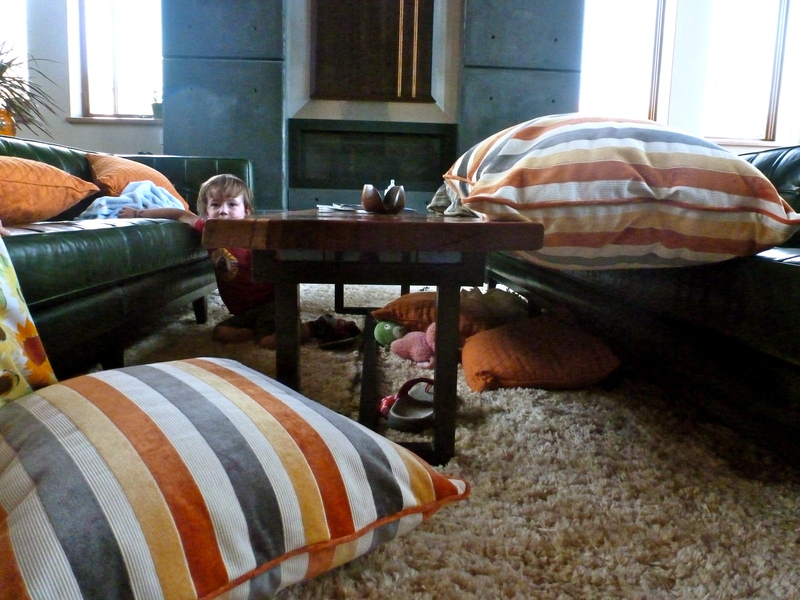 There was even a couch-pillow fort. Sounds like a success to me! Oh…P.S. PEOPLE LOVED THE PIE. To make the crust, spin the cookies and sugar in a food processor until fine crumbs form. Then drizzle in the butter, pulsing to combine. 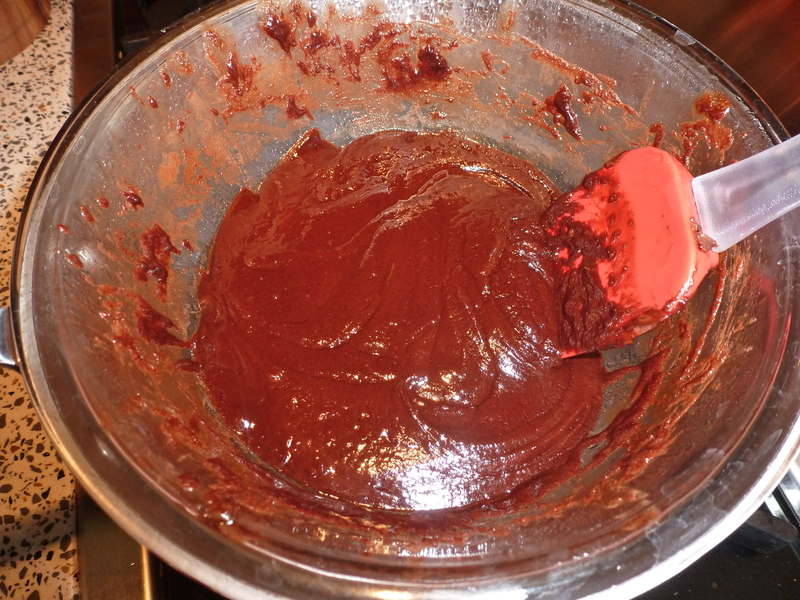 Press this mixture firmly and evenly into the bottom and up the sides of a 9-inch metal pie pan (I used glass). Bake on the middle rack until crust is set and appears dry, 18 minutes or so. Remove from the oven and cool completely. 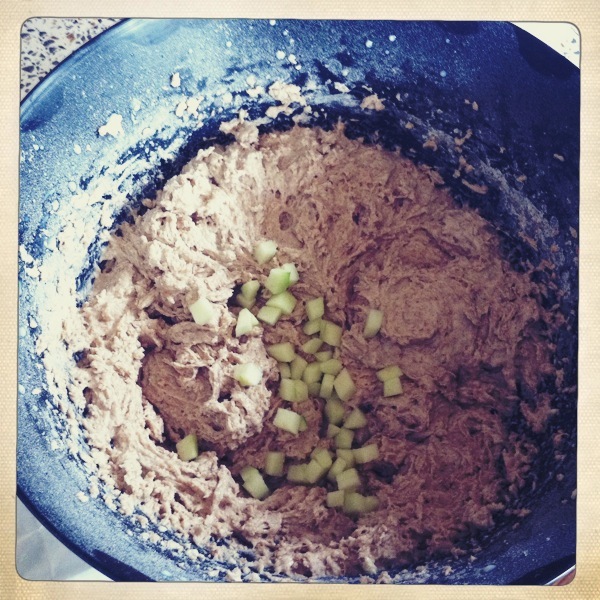 To make the filling, simmer 1 inch of water in a saucepan. Melt the chocolate chips, liqueur, and vanilla together in a glass bowl set on top of the saucepan, stirring often. 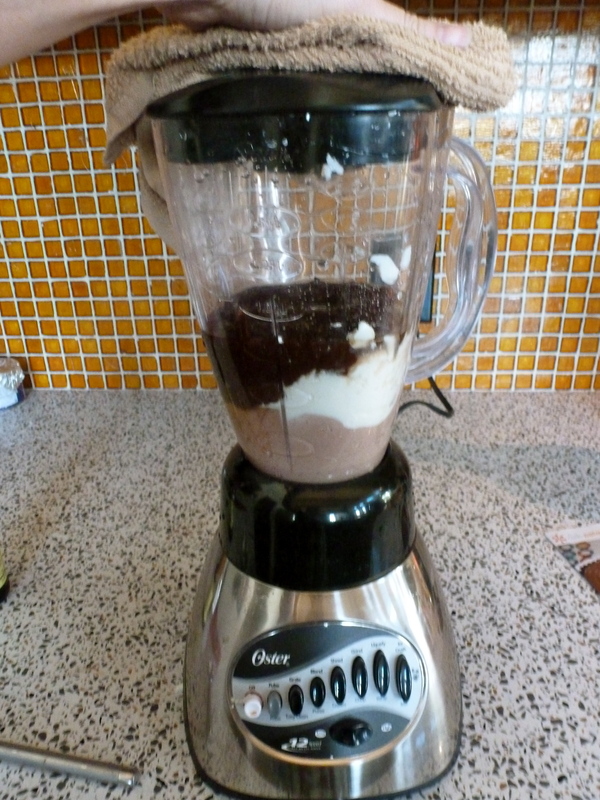 Combine the tofu, chocolate mixture, and honey in a blender until smooth. 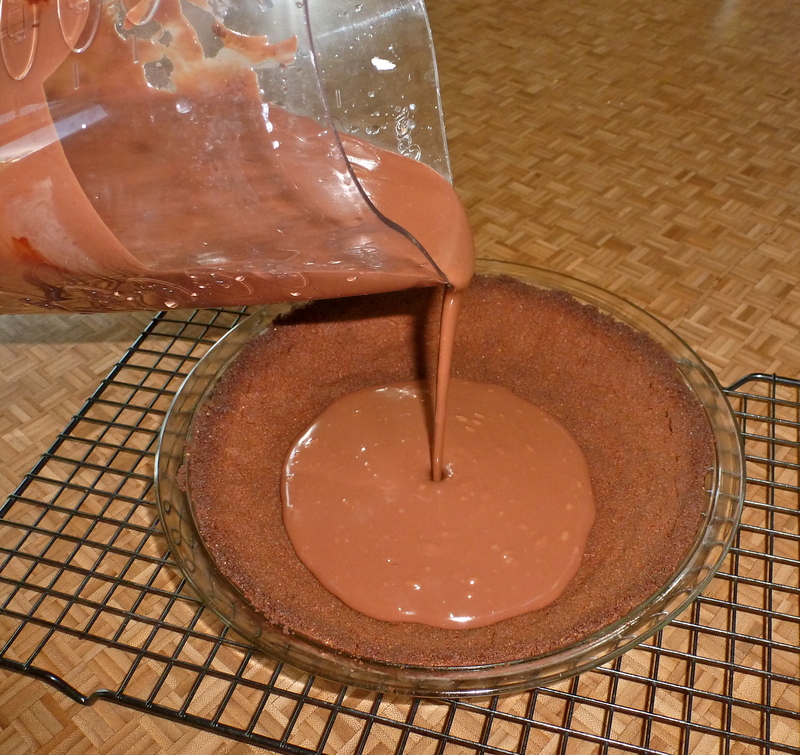 Pour the filling into the crust and refrigerate for 2 hours, or until filling is set. Next postI paid attention in Kindergarten. I just ate one. Yes, yes. I can confirm that they ARE delish. The best post ever! Blog-hugs all around! Great post. Made my day. 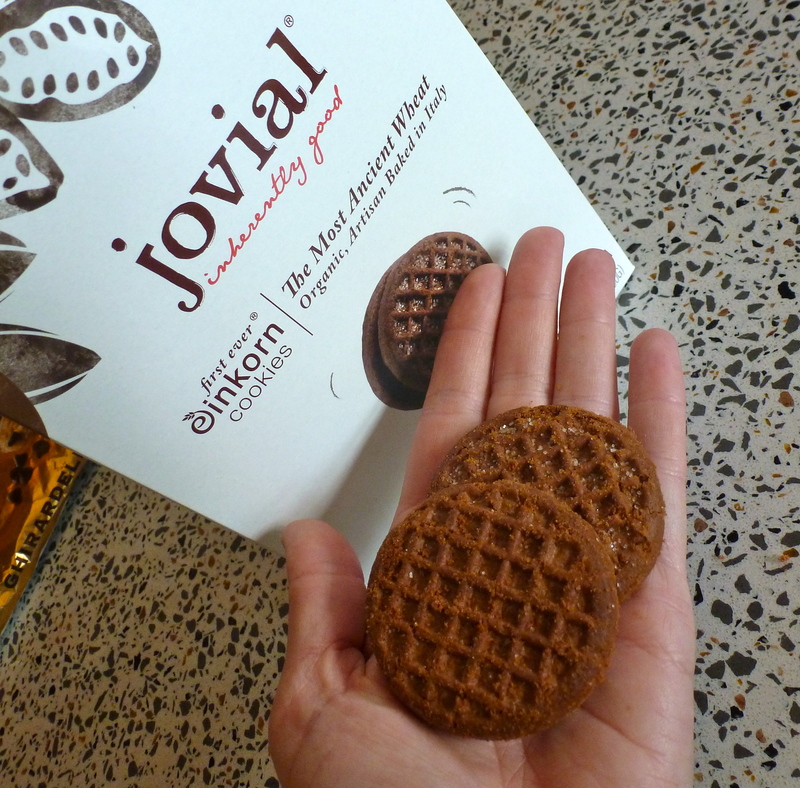 Holy canolli…I just gained 10 pounds reading this post! 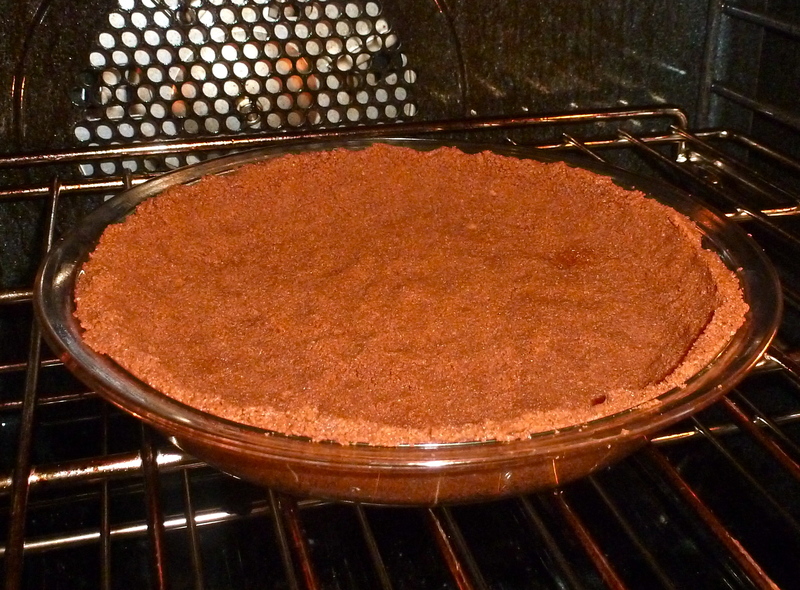 You are so right…apply ANYTHING baking in the oven makes the house smell divine. 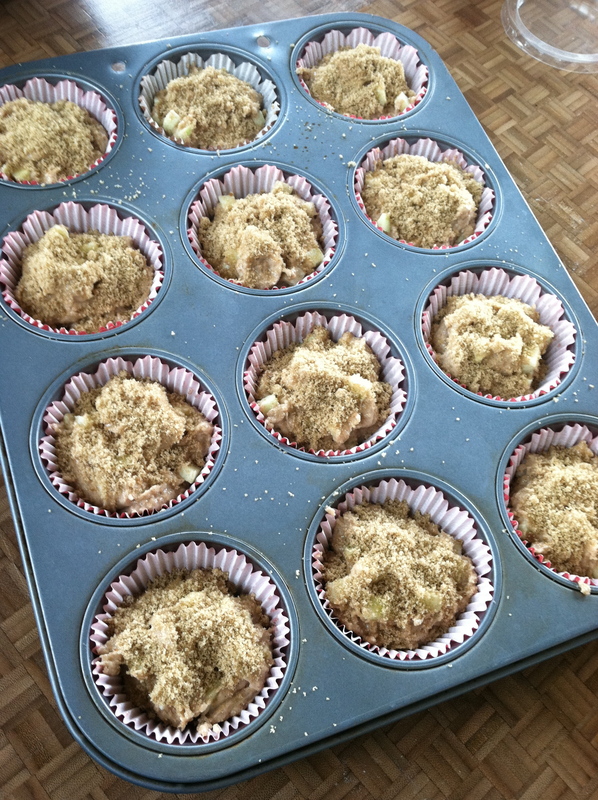 If I ever put this house on the market to sell, I will always have an apple-something bake-ready to throw into the oven so the house will smell like that when people will come to look. That smell alone would sell a home. I love Smitten Kitchen! I have yet to go wrong with one of her recipes. Yum yum yum! 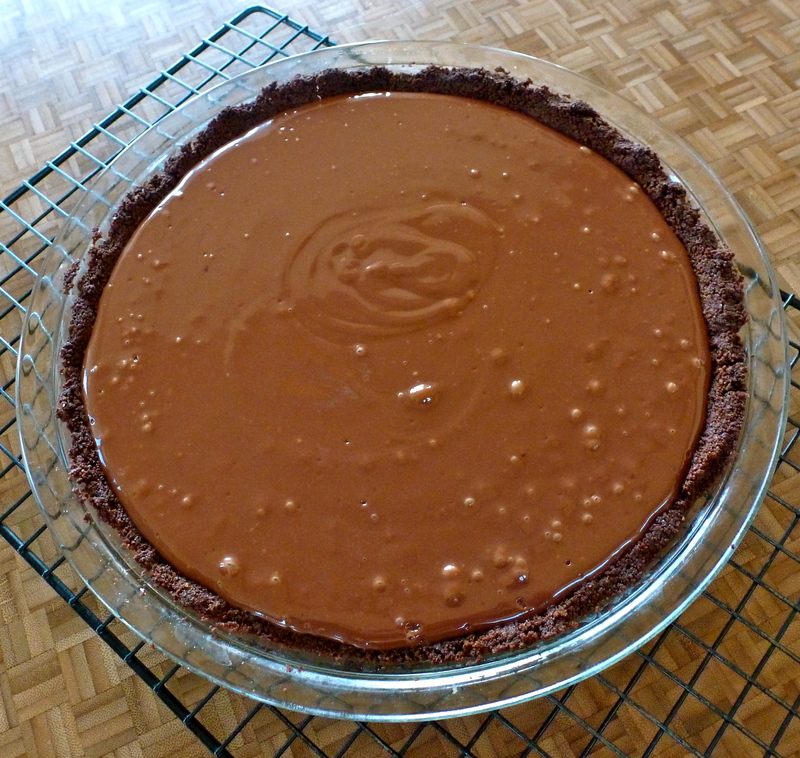 A chocolate pie similar to that was this first thing I made using silken tofu as well! I make one with a sweetened peanut butter on the bottom and the chocolate on top…would never know is tofu! I gotttta try it with the kahlua though! I’m convinced peanut butter is a necessary addition next time! Oh, wow. I think one, or preferably both, of those desserts need to enter my life ASAP. I haven’t baked in a while ,and plan to this weekend. I feel so inspired having read this! Both were so good and both were new recipes. Love when a new recipe turns out well! Keepers! Thank you! It’s a great kitchen for cooking/entertaining, for sure! OMG how fun! 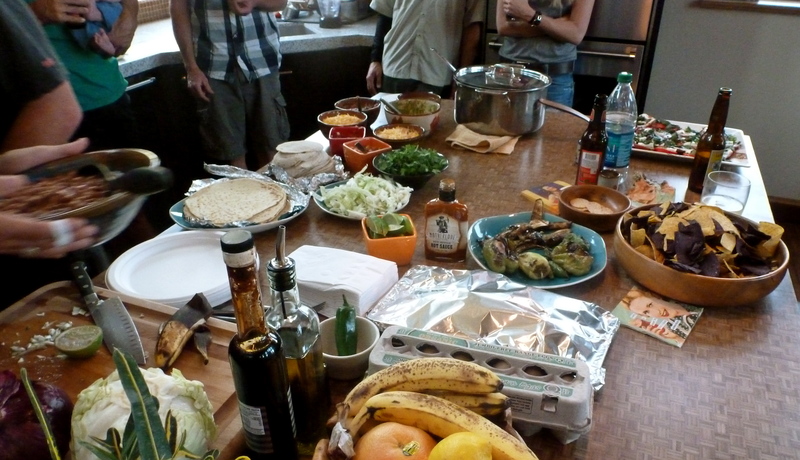 We’d take turns in the kitchen making awesome food!